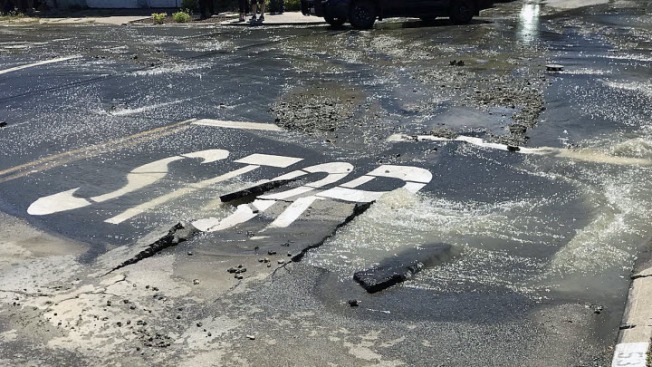 Crews were scrambling Sunday to repair a water main break in Martinez, according to Martinez police. The rupture just before 11 a.m., at Talbart and Escobar streets, caused minor flooding in some homes' garages, and workers were setting up barricades to prevent further flooding, police said. The break also damaged streets in the area. The leak was capped and water was shut off about 12:30 p.m. Officials estimated it would take about four hours to complete the repairs. Details about the number and locations of homes without water were not provided.